If you want to get out on the track and race but you budget will not allow a car or motorcycle the next best bet it to retune and refit that old riding lawnmower sitting unused in your garage. Lawnmower racing is the most affordable type of motor sports and it is rapidly gaining popularity. 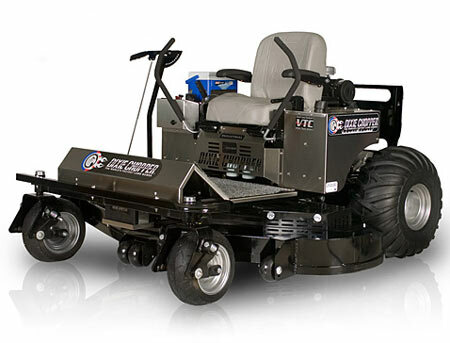 The following will provide you with the basics on how to build a racing lawnmower. To get started you will need the following tools. 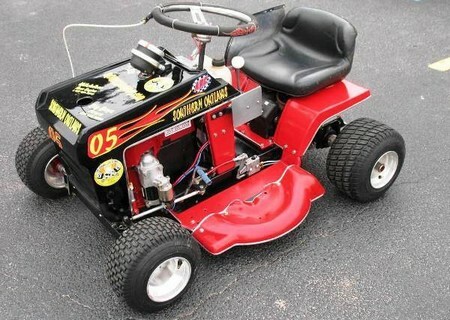 If your going to build a racing lawnmower you will an old second hand one if you do not already have one. Remove all the parts from the old mower, except the chassis. Use your sandblaster to clean all the dust and rust and other debris from the surface and under carriage of the chassis. Now you must strengthen the chassis. Always use metal for any components located on the rear axle. It might be a good idea to get professional help with welding the parts as the rear axle needs to be the strongest part of the drive train. Once the parts are welded, assemble the rear axle. To guarantee that the assembly is exact you might want to hire the services of a precision engineer. Once the back axle is installed, you will need to make the cutout for the engine plate. You can use either the jigsaw, hole saw or drill for cutting the plate to size. Next you will have to prepare the steering wheel, engine and wheels. Check with the local newspapers for cheap parts or even go to the junk yard. Go cart stores and online are other excellent places to find parts. The next step in building your racing lawnmower is to connect the steering set to the chassis. For safety purposes always wear goggles when you are welding. Once the steering set is connected, you need to set the wheels, tires and back axle. If you have never done this, get some tutorials or the help of a professional or someone who has experience in fitting the parts. Now fit the brake caliper and customize your pedals to make sufficient room for the brake, clutch and accelerator. Last to be fitted are the engine, pulleys, belts and clutch. You will need a steering wheel and seat also. Now take your new racing lawnmower out for a test drive. This will give you some idea of how well it operates and give you the opportunity to check the steering wheel and brakes.